Author: Edward F. Mrkvicka, Jr. The most important thing we will ever do is accept or reject the gracious and unmerited gift of salvation, as with our choice we will inherit heaven or hell. Sadly, God's Word states repeatedly that many who believe they have accepted the gift of salvation, actually have not. Instead, they have been deceived into believing a cheap grace that says God's children can sin without consequence, when they cannot, as with continued rebellion they reveal that they were either never saved in the first place or they have since, by exercising their God-given free will, rejected the salvation they once cherished. Jesus will not allow His sacrifice on the cross to be used as a license to sin. "Not every one that saith unto me, Lord, Lord, shall enter into the kingdom of heaven; but he that doeth the will of my Father which is in heaven. Many will say to me in that day, Lord, Lord, have we not prophesied in thy name? and in thy name have cast out devils? and in thy name done many wonderful works? And then will I profess unto them, I never knew you: depart from me, ye that work iniquity." Salvation is a gift, it cannot be earned. Yet "faith, if it hath not works, is dead." True belief and righteous behavior go hand in hand. Saying we are saved while acting like a heathen is a deadly deception. "They profess that they know God, but in works they deny Him, being abominable and disobedient, and unto every good work reprobate." No, we are not saved by our works, but if we are saved, we have works as a result. Holy works, without which "no one will see the Lord." Our Savior doesn't want us deceived into losing our salvation that was gained at such great expense. Are you saved, or do you just think you're saved? This book will help you know the truth. 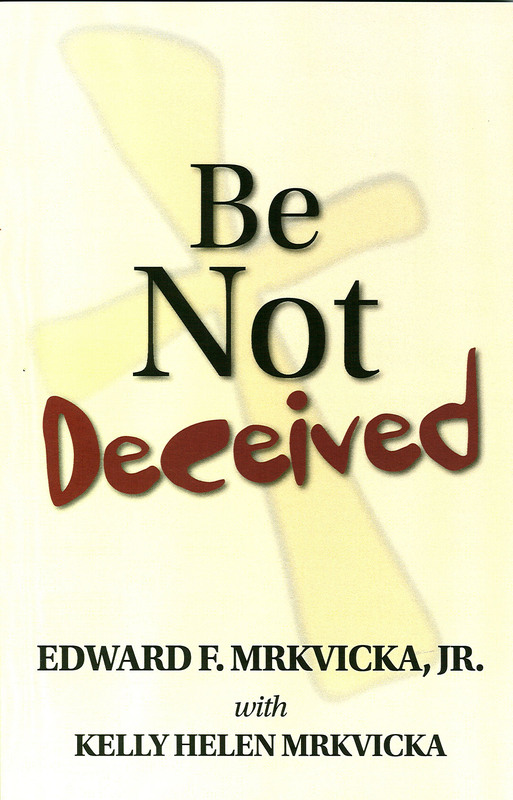 More importantly, if you have been deceived, "Be Not Deceived" will help you reclaim God's gift of everlasting life. 5 out of 5 stars from Active Christian Media, Pursuing Holiness, and Reader Views. KIRKUS says, "The book is well-written...engaging...thought provoking."